I recently finished reading a small yet powerful book titled, A Mind for God by James Emery White. As I thought through the personal implication of this book on my own spiritual life I couldn’t help but think about the following regarding youth growing up in today’s culture. Emery White starts his book off with the idea that the god of this world assaults those living within it and is not without intellectual forces, which he arrays against the kingdom. Within this assault are four major ideas of which are critical to understand. I believe these to be of ultimate importance to those of us in youth ministry as well. The basic idea of relativism is: What is true for you is true for you, and what is true for me is true for me. 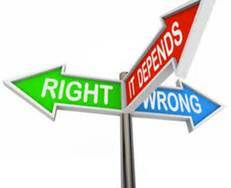 What is moral is dictated by a particular situation in light of a particular or social location. Moral values become a matter of personal opinion or private judgment rather than something grounded in objective truth. To be autonomous is to be independent. Autonomous individualism maintains that each person is independent in terms of destiny and accountability. Ultimate moral authority is self-generated. In the end, we answer to no one but ourselves, for we are truly on our own. Our choices are ours alone, determined by our personal pleasure, and not by any higher moral authority. The value of narcissistic hedonism is the classic “I, me, mine” mentality that places personal pleasure and fulfillment at the forefront of concerns. The “Culture of Narcissism” is concerned with a current taste for individual therapy instead of religion. The quest for personal well-being, health and psychic security has replaced the older hunger for personal salvation. Reductive naturalism states that all that can be known within nature is that which can be empirically verified. What is real is only that which can be seen, tasted, heard, smelled or touched and then verified, meaning able to be replicated through experimentation. Knowledge is “reduced” to this level of knowing. If it cannot be examined in a tangible, scientific manner, it is not simply unknowable but meaningless. Which of the above do you struggle with the most in your own personal journey? Which of the above do you see most in the kids in your youth ministry? How do we collectively address these issues in our own lives and the lives of our youth? Interesting. The first three seem to aim at making people their own personal gods and the fourth denies the possibility that any actual God exists. It’s quite a way to get people to ignore the Bible and their need for personal salvation.